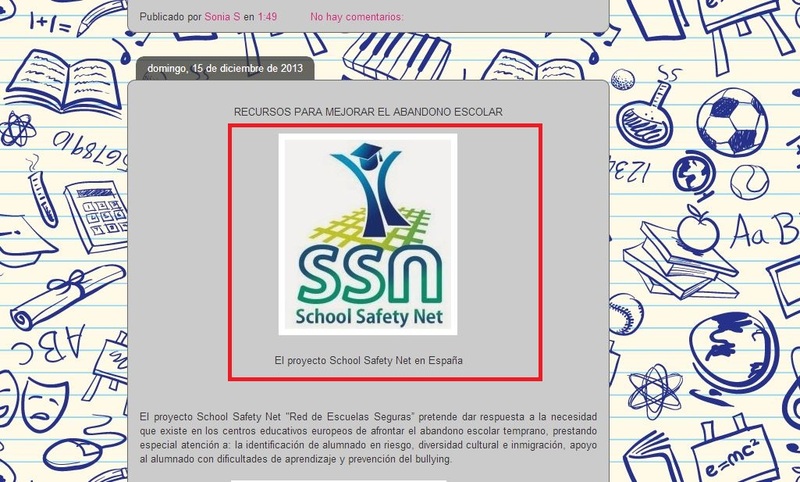 Several web sites and on line magazines specialized in education as well as paper journals have published the information about the School Safety Net project. Also links towards the School Safety Net portal were activated from relevant web sites and web portals. INFOREF (initiatives for effective training) is an association which promotes the use of information technology and communication aims. 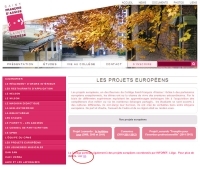 - To disseminate an attractive image of the Liège area, highlighting its assets and successes. - To carry out concrete projects to this effect. - To foster a more aware solidarity regarding economic, social and employment issues. - To arouse a proactive and optimistic attitude among its inhabitants. - To organise a more active collaboration between the initiatives from companies and officials. Belgian section of the European Association of Teachers. Its three-monthly report is sent to all the members and is available for free and for everyone online. 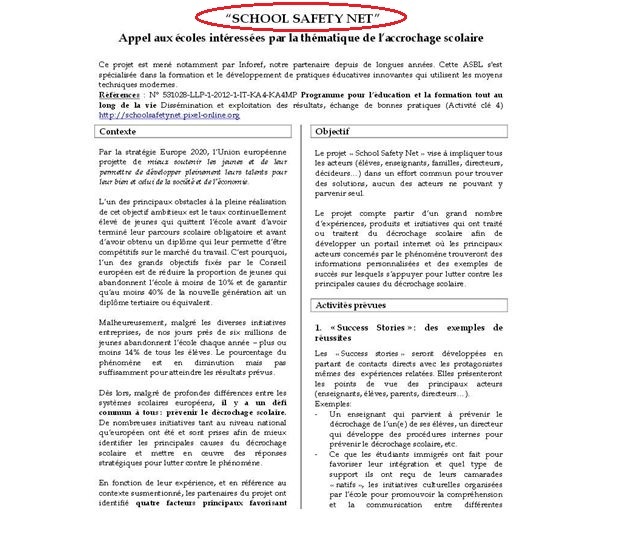 The Jan-Feb-Mar 2013 edition contained a two-page article on School Safety Net, with a link to the portal. The magazine “Prof”, published by the Ministry of Education, is sent to every teacher in the French-speaking Community of Belgium and is also available for free and for everyone online. 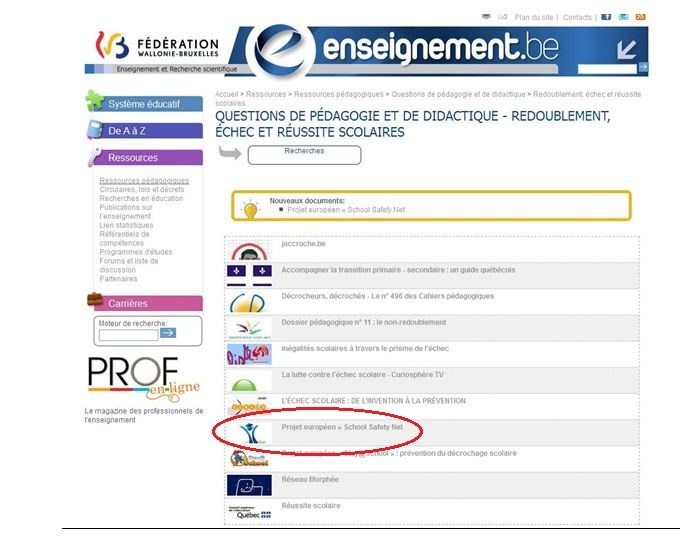 Enseignement.be is the official Portal of education in the Fédération Wallonie-Bruxelles. Inspectoratul Școlar Județean Botoșani (I.S.J. 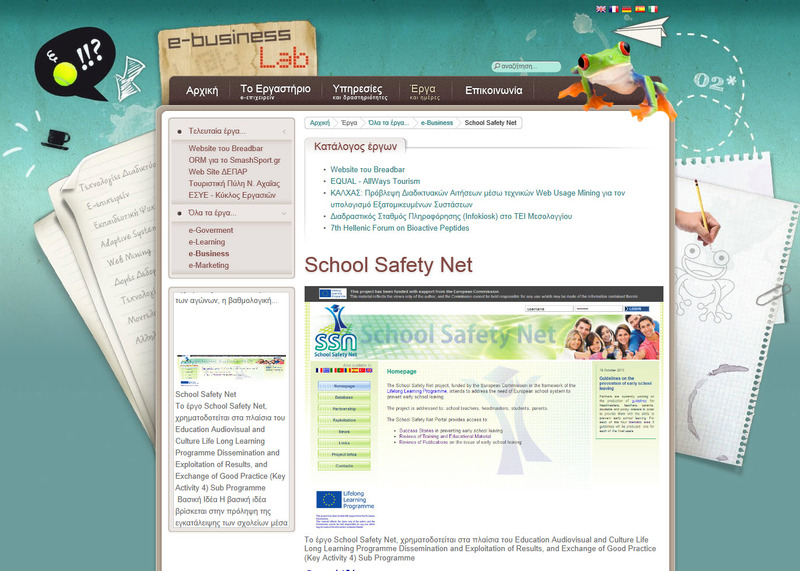 Botoșani) is an associated partner in the School Safety Net project. I.S.J. Botoșani is an institution who coordinate the education activity of teachers and schools from Botosani County. Casa Corpului Didactic Botoșani (C.C.D. Botoșani) is an associated partner in the School Safety Net project. C.C.D. Botoșani is an institution who offer training courses and methodological support in education for teachers and schools from Botosani County. 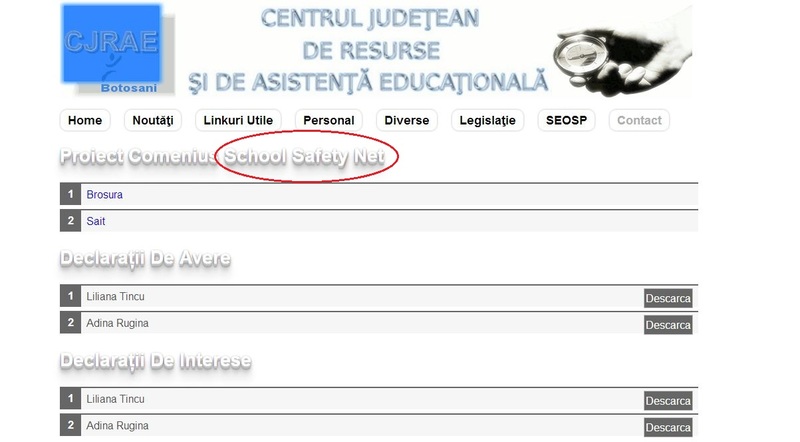 Centrul Județean de Resurse și de Asistență Educațională (CJRAE) Botosani is an associated partner in the School Safety Net project. Centrul Județean de Resurse și de Asistență Educațională (CJRAE) Botosani is an educational institution specialized in providing coordination and monitoring of specific educational services for children / students, teachers, parents and community members to ensure that all access to quality education and necessary assistance in this regard. 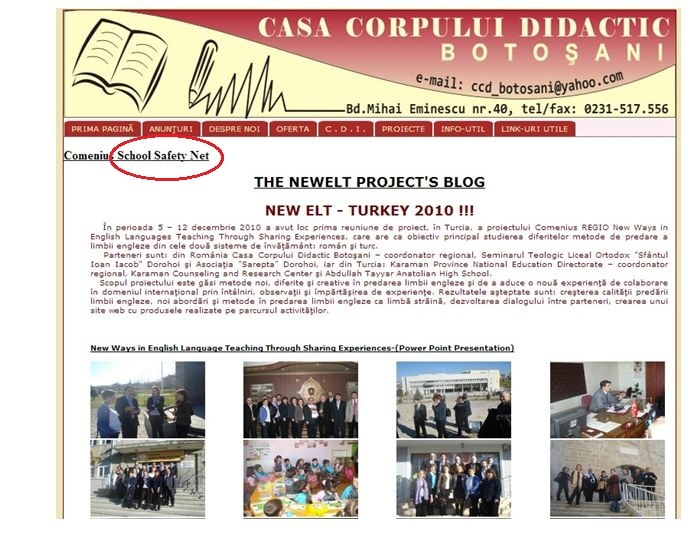 Links to articles describing the European projects “[email protected]” and “School Safety Net”, with links to their respective portals, are available on the website of this secondary school. 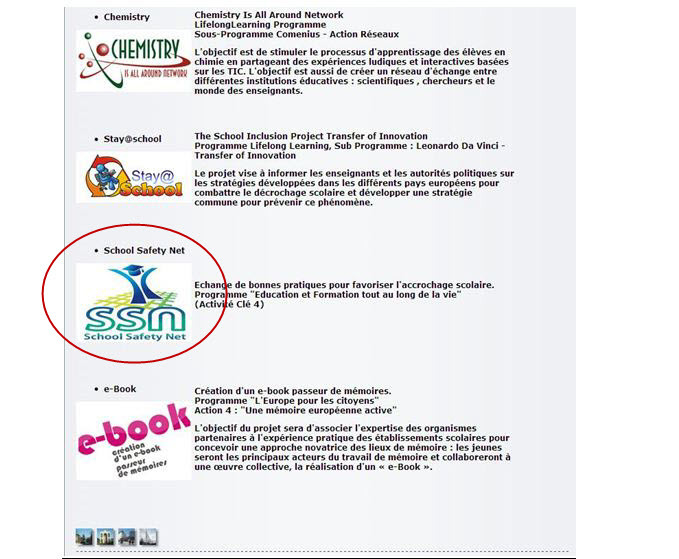 Collège Saint-Martin is a school near Liège (Seraing) participating in the project School Safety Net. An insert on their homepage contains a link to a longer article on School Safety Net, with a link to the portal. The Institute, located in Lucca, has fulfilled the function for years of training exclusively in the field of tourism. Since 1997 it has expanded the range of his address, adding business management, graphic and advertising. From the home page of the web site a direct link to the School Safety Net Portal is available. National College “Grigore Ghica” is an associated school from Dorohoi city. Students have between 14 and 19 years old. 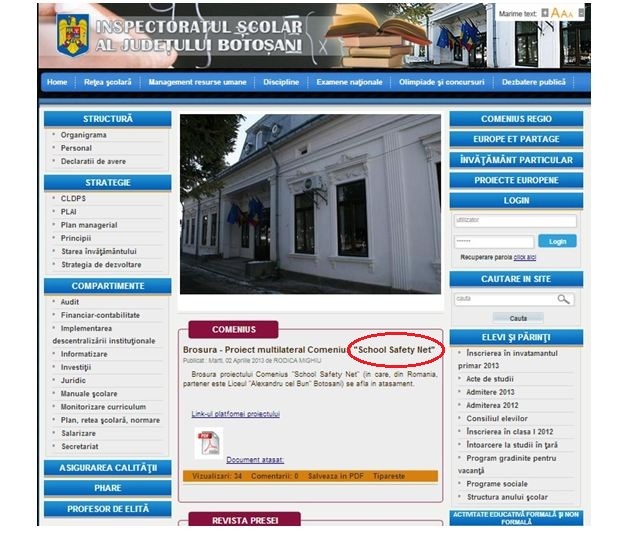 National College “Grigore Ghica” Dorohoi website provides information about the project together with a direct link to the School Safety Net Portal. There are many users of National College “Grigore Ghica” website, that may now learn about and benefit from the School Safety Net project. The ITCG Fermi Institute in Pontedera (IT), has trained generations of accountants and surveyors, who are placed in public and private institutions, demonstrating the professionalism acquired. In the School web site it is available a direct link to the School Safety Net Portal. 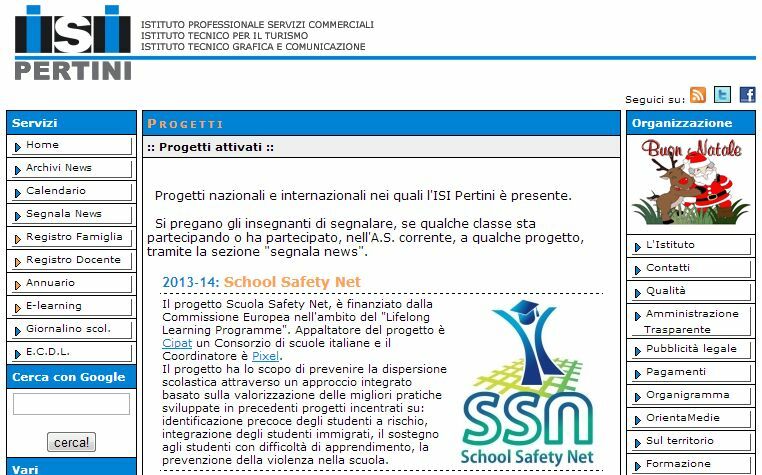 TEI of Messolongi is partner in the School Safety Net project. 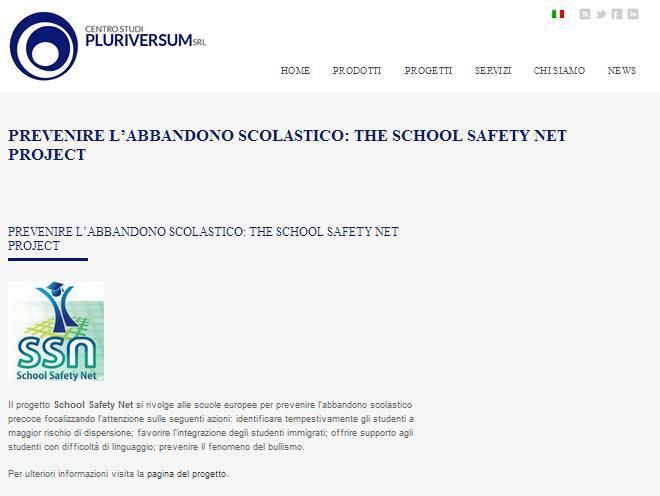 TEI of Messolongi website provides information about the project together with a direct link to the School Safety Net Portal. There are many users of the website that may now learn about and benefit from the School Safety Net project. 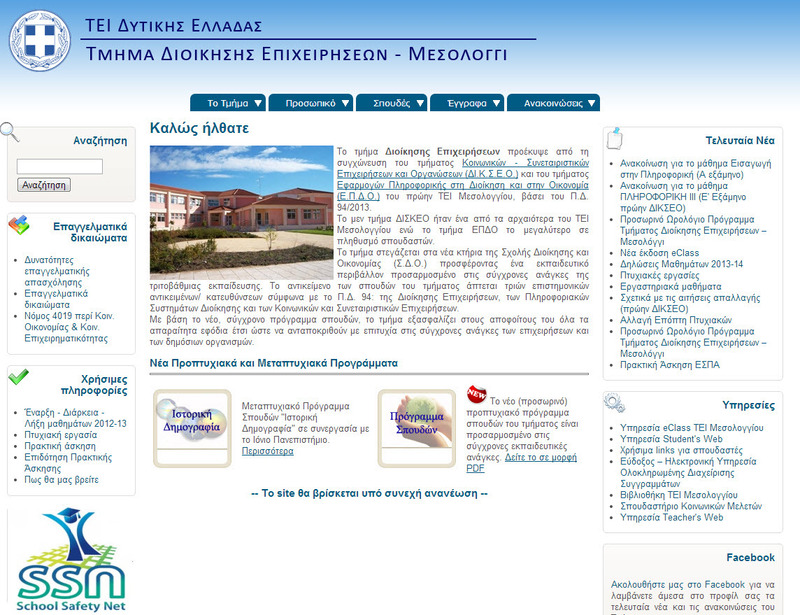 eBusiness is a web site that provides information for the activities of the eBusiness Lab in TEI of Messolongi. 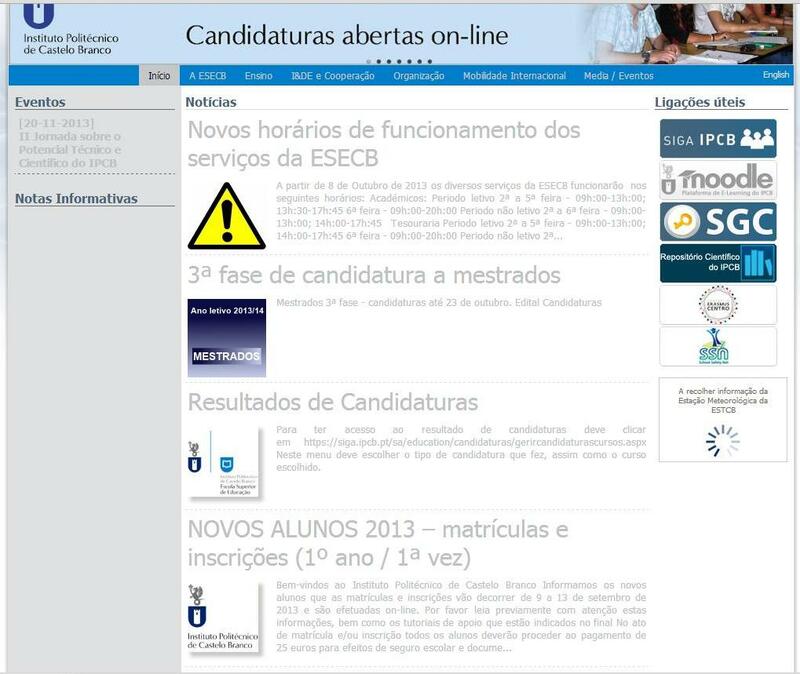 The website is accessible for the public and it is a point of reference for ebusiness in education. 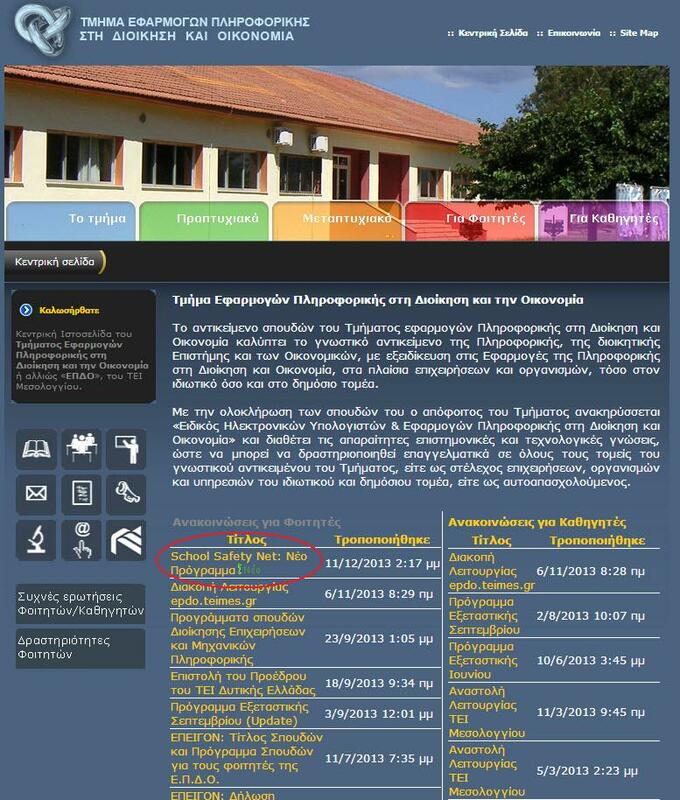 This is the website of the Department of Applied Informatics in Management and Economy. There are many users of the website that may now learn about and benefit from the School Safety Net project. TESYD is the website of Telecommunications Department. There are many users of the website that may now learn about and benefit from the School Safety Net project. DEMES is the website of the Business Administration Department. There are many users of the website that may now learn about and benefit from the School Safety Net project. 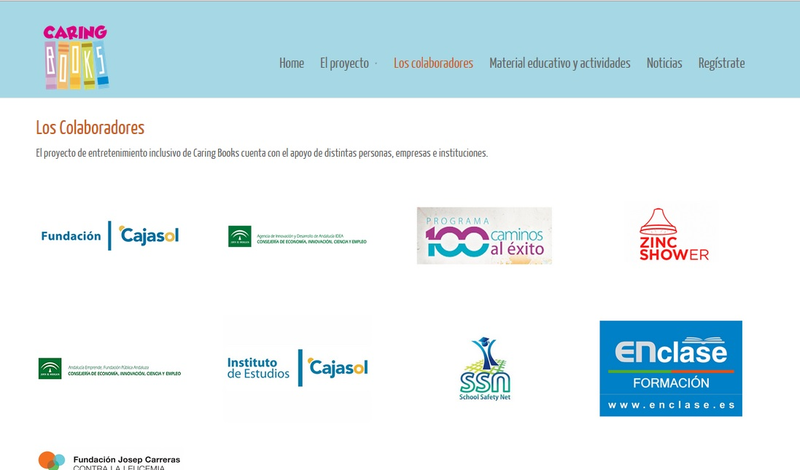 It is the website of a Gymnasion that is part of the beneficiars of the project. There are many users of the website that may now learn about and benefit from the School Safety Net project. 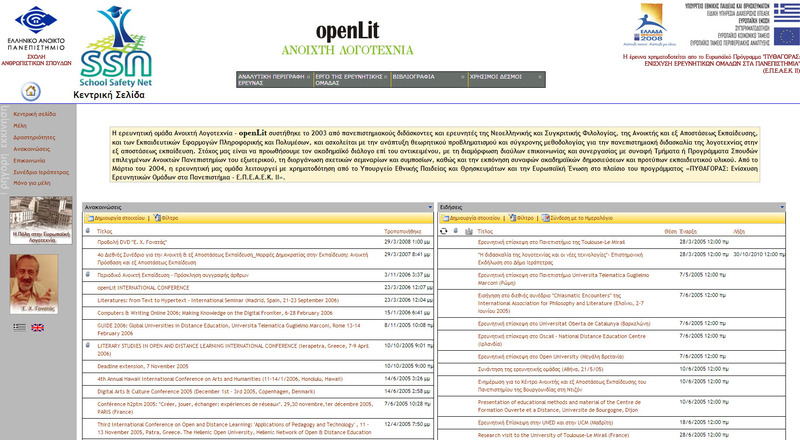 The research team openLit was put together in 2003 by scholars of Modern Greek and Comparative Literature, Open and Distance Learning specialists, specialists in Educational Computing and Multimedia, most of whom teach at the Hellenic Open University, and is engaged in the research of Literary Studies in open and distance tertiary education. 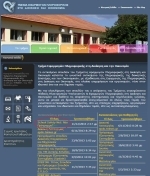 Archimedes presents research activities in different areas of education. It is a public website. There are many users of the website that may now learn about and benefit from the School Safety Net project. 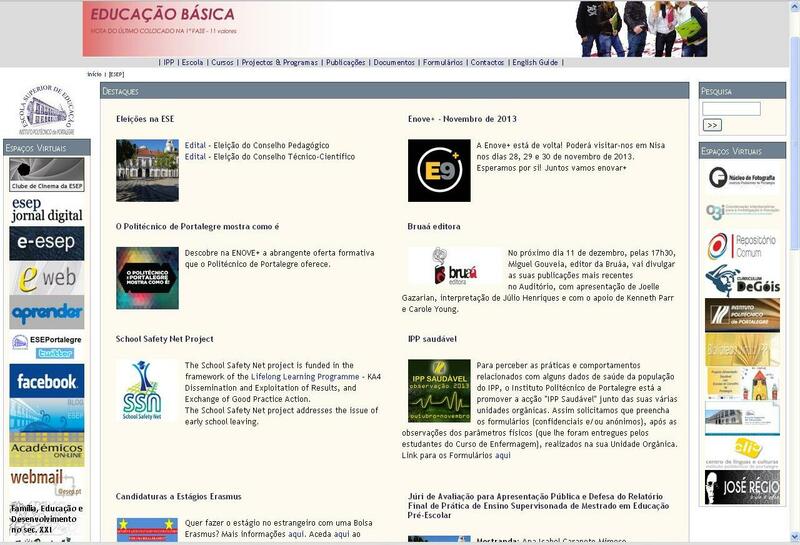 Escola Superior de Educação of the Instituto Politécnico de Castelo Branco is partner in the School Safety Net project. 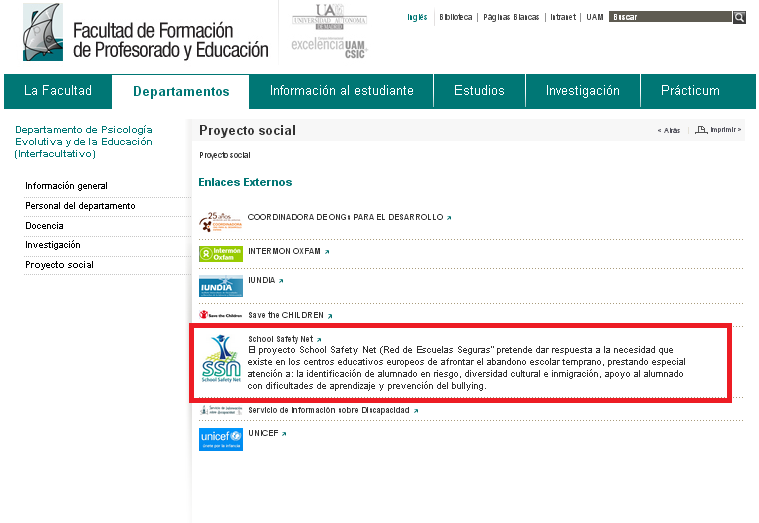 The Higher School of Education website provides information about the project together with a direct link to the School Safety Net Portal. 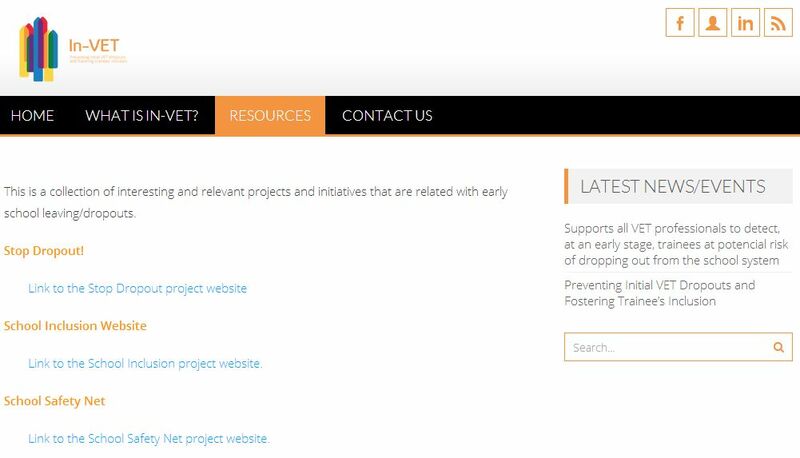 There are many users (teachers and students) of the ESE website that may now learn about and benefit from the School Safety Net project. Agrupamento de Escolas José Sanches e S. Vicente da Beira is one of the school clusters that is associated school to the SSN project. It is involved in primary and secondary education and its schools are situated in the Castelo Branco district, Portugal. 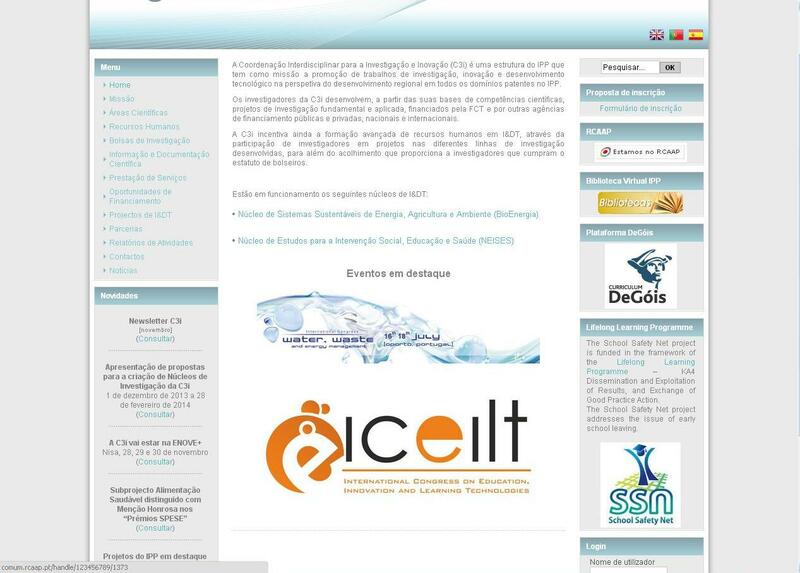 Escola Superior de Educação do Instituto Politécnico de Portalegre is an associated partner of IPCB involved in educational intervention, research and training in education. It included a direct link to the SSN project as part of its strategy as associated partner and active collaborator in the project’s tasks and development. CILCE is an Interdisciplinary centre for Languages, cultures and education that is part of the Castelo Branco Polytechnic Institute and its Higher School of Education. 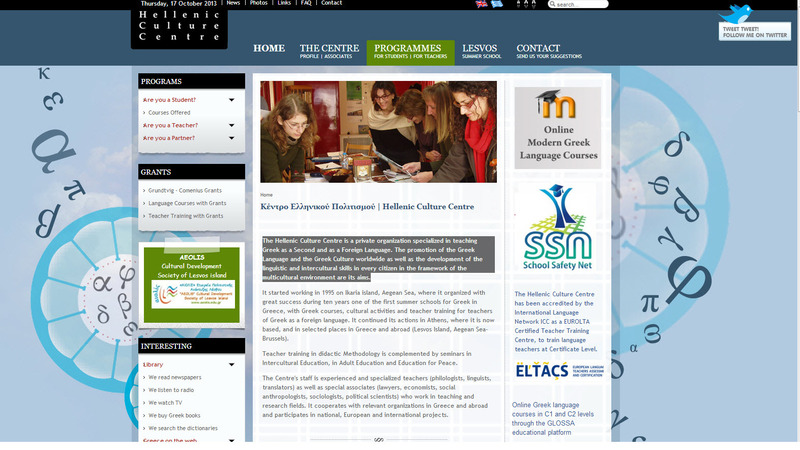 Besides its activities as a Language school, it is involved in several international projects in the areas of education. The web site of the institution includes a direct link to the SSN project. CETAPS is a research Centre for English, Translation and Anglo-Portuguese Studies. This research group works within the area of teacher education (covering primary/basic, secondary and tertiary education in Portugal) providing “add-on value” to CETAPS (Centre for English, Translation and Anglo-Portuguese Studies) in terms of research in the field of social and human sciences. 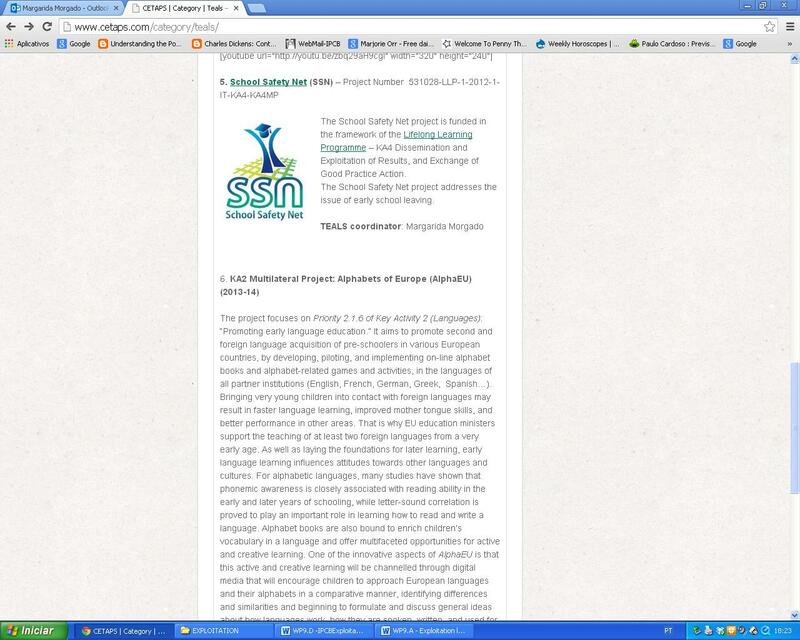 The web site of the institution includes a direct link to the SSN project. C3i in Portalegre is an interdisciplinary research Centre connected to the Portalegre Polytechnic Institute with the aims of research and innovation. It promotes projects for scientific and technological research with high impact on regional development and provides training to the highest level of human resources who wish to start a scientific career, as well as promotes and disseminates scientific and technological knowledge. National College “Grigore Ghica” is an associated school from Dorohoi city. Students have between 14 and 19 years old. 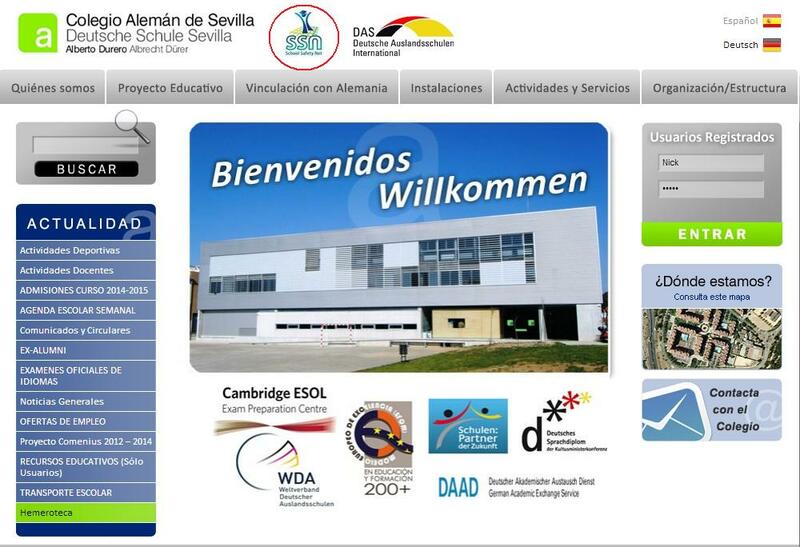 The school is involved in many projects, has very good results at national exams and contests. 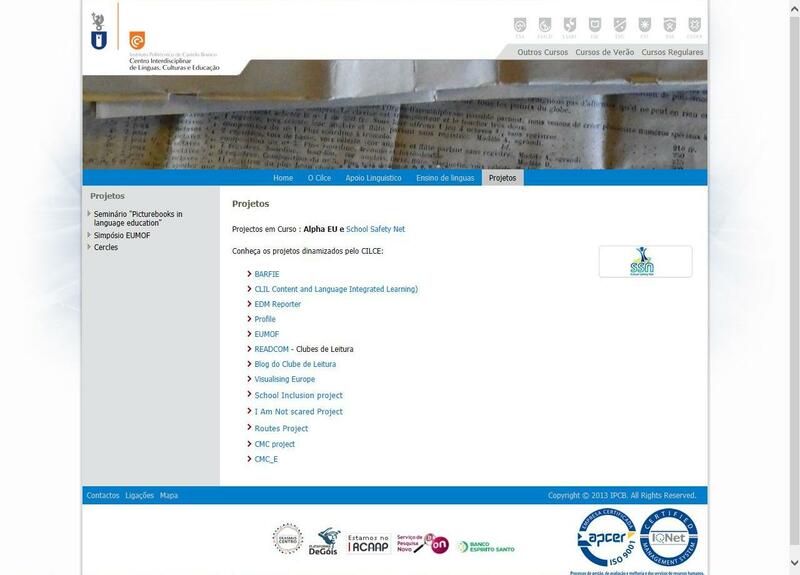 National College “Grigore Ghica” Dorohoi website provides information about the project together with a direct link to the School Safety Net Portal. There are many users of National College “Grigore Ghica” website, that may now learn about and benefit from the School Safety Net project. 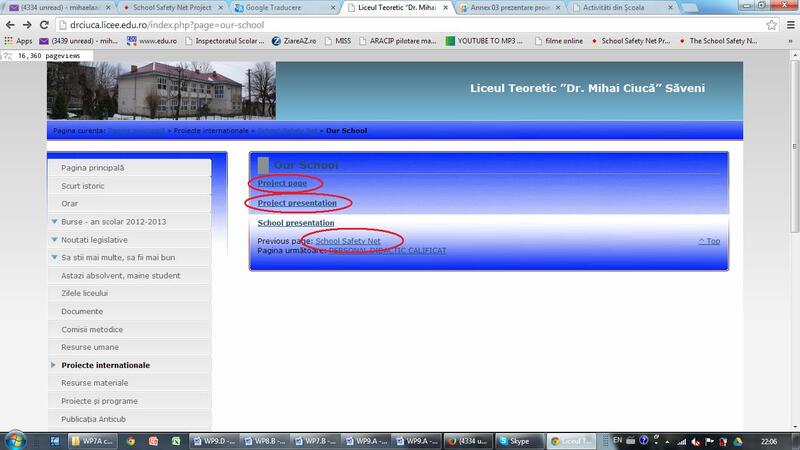 Theoretical High School “Dr. M. Ciucă” is an associated school from Săveni city. Students have between 14 and 19 years old. The school is a mixture between theoretical and technological profiles, has many partnerships with social and economic agents. Theoretical High School “Dr. 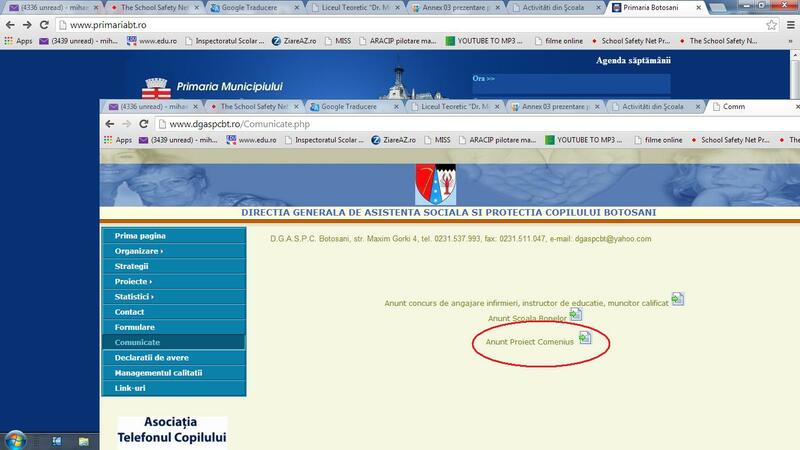 M. Ciucă” website provides information about the project together with a direct link to the School Safety Net Portal. There are many users of Theoretical High School “Dr. 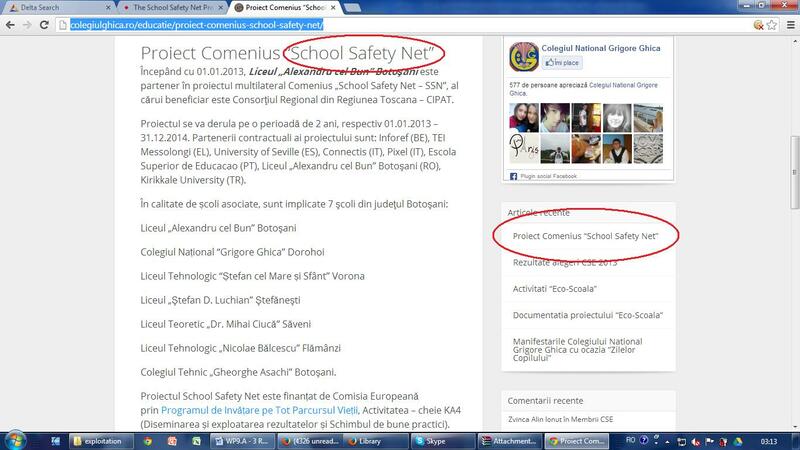 M. Ciucă” website, that may now learn about and benefit from the School Safety Net project. Botoșani Municipality ensures specific public services for the local community through efficient ways. The main function refers to: execution (of the political decisions), information (public interests information), preparation (of the political decisions, legislation and administrative documents). 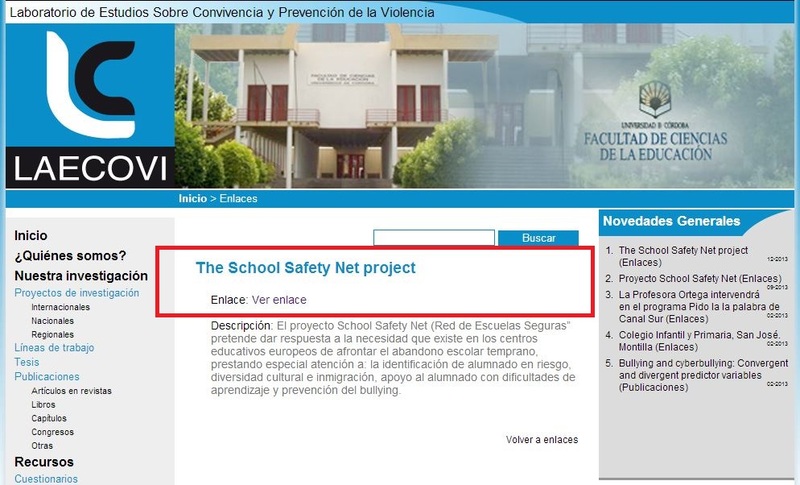 From the web site of the Municipality it is possible to download the brochure of the School Safety Net project with the direct link to the project portal. Directorate General of Social Assistance and Child Protection (DGASPC) is a structure that functions as public institution with legal personality, subordinated to the County Council of the county Botosani and realizes social assistance measures in the protection of children, elderly, people with disabilities or in other situations of social risk. 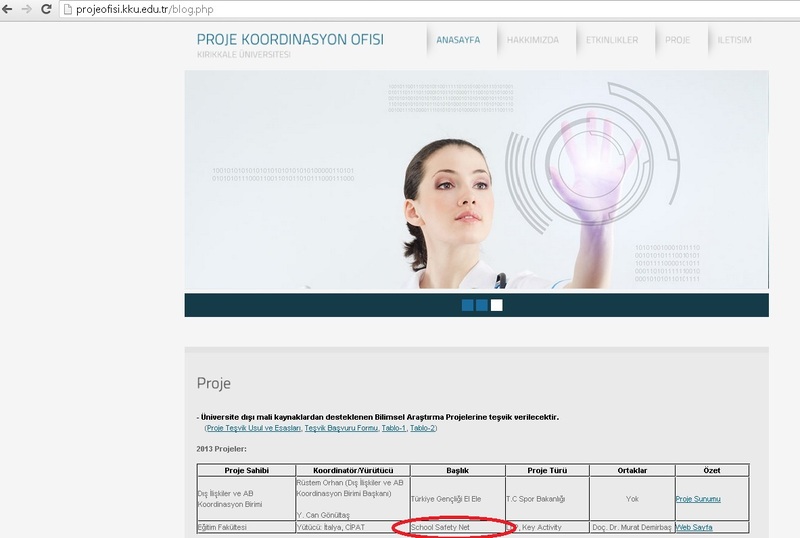 From the web site of the institution it is possible to download a word document with the description of the project and the link to the project portal. Sakarya University Institute of Education offers MA and PHD degrees in various departments. 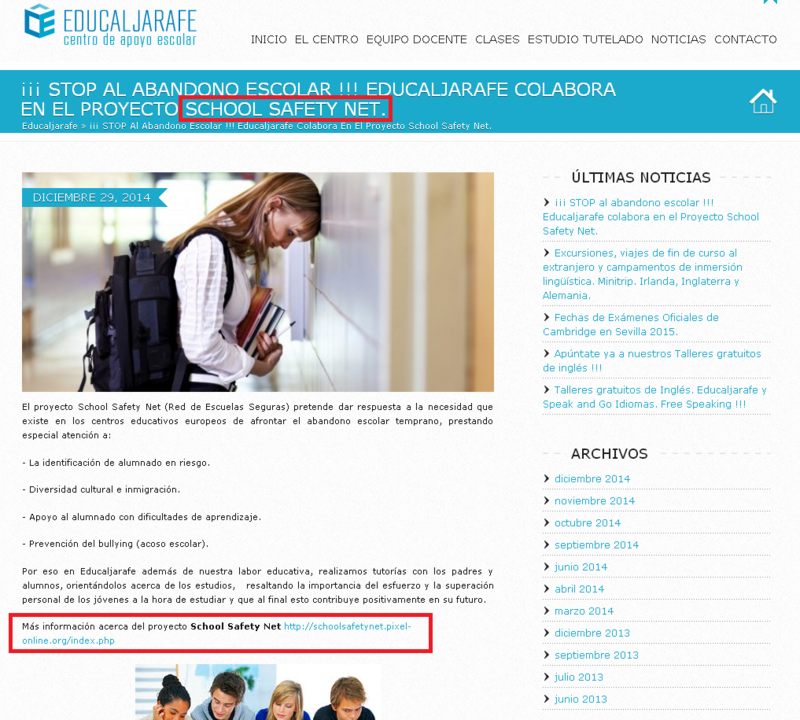 It has a direct link to the School Safety Net Portal on its “our projects” page. DESI is an Erasmus Intensive Programme Project aiming at university students, teachers and administrators. 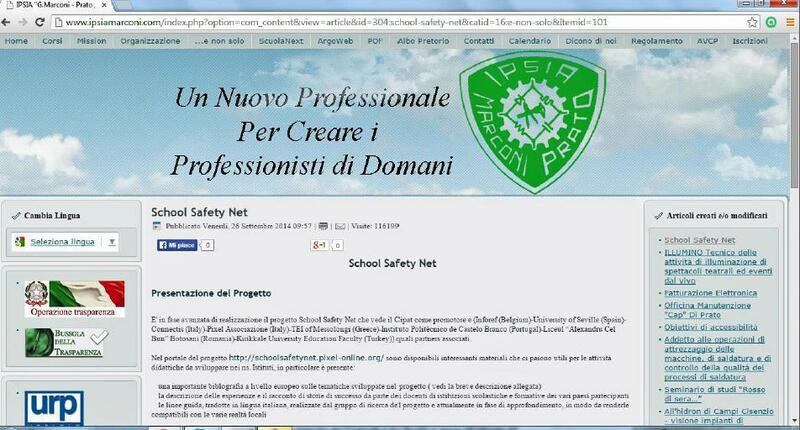 The project has made a link to the School Safety Net Portal on its “links” part. Kırıkkale University Department of Primary Education offers graduate education to teacher candidates. The department made a direct link to the School Safety Net Portal on its main page. Pegem Publishing is a very well-known publishing company which has a very extensive network of university academicians, teachers and student-teachers. 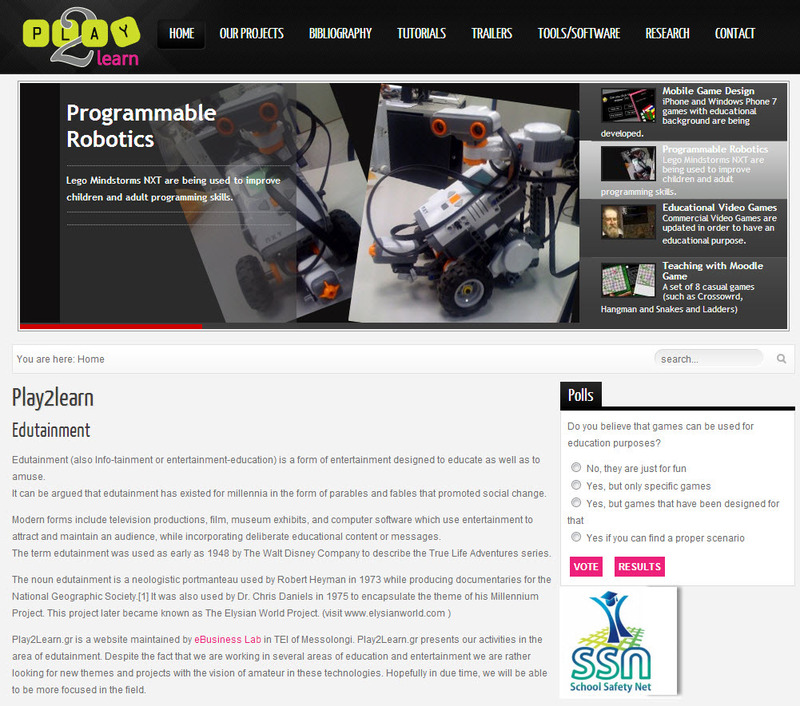 The company has made a link to the project on its “announcements” page and gave brief information about the project. Kırıkkale University project coordination office regulates and deals with international relations and projects of Kırıkkale University. It has a direct link to the School Safety Net Portal on its main page. 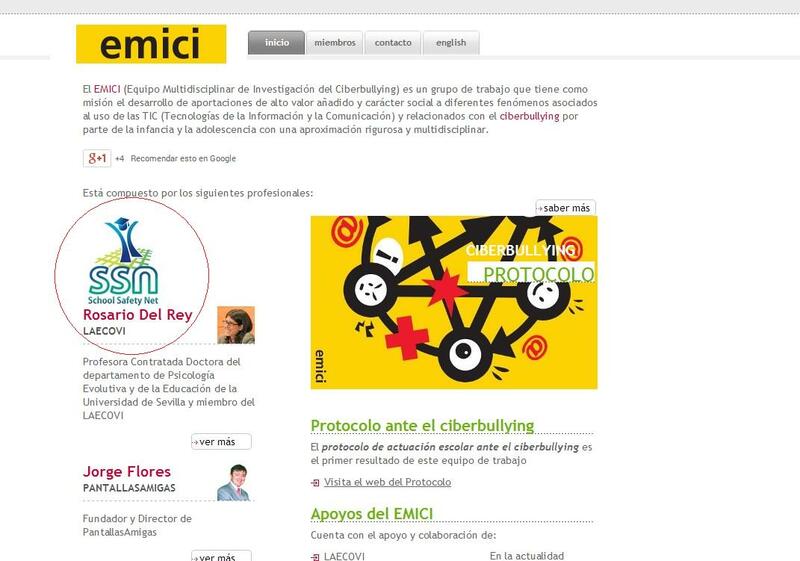 El EMICI (Multidisciplinary team of investigation about cyberbullying) is a network whose purpose is the development of high-quality contributions with social character in different phenomena associated to the use of the ICT (Information and Communication Technologies) and related to cyberbullying in childhood and adolescence with a rigorous and multidisciplinary approach. 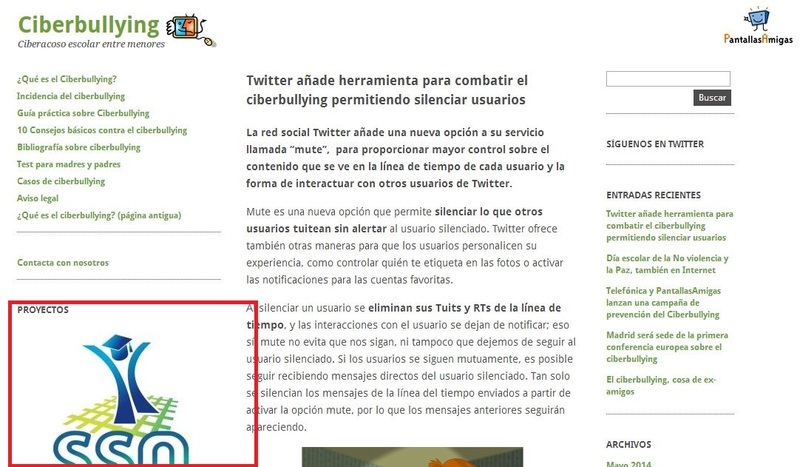 The website Cyberbullying pursued in response to the magnitude and the serious consequences of peer harassment, a problem that becomes a new and parallel to the large-scale development of ICTs, especially the Internet and mobile telephony, as present during the childhood and adolescence. This problem has become in recent years for parents, teachers and society in general, a serious problem of cyberbullying. Therefore, the website provides help manual to address such situations. A direct link from the institutional web site to the School Safety Net portal is available. The website LAECOVI aims to be a meeting place and communication open to all people who are interested in building living spaces and understanding of all that prevents the aim of improving interpersonal and social relations in general. In this website you can find information about the work done by the research team and the resources that have been acquired in recent years have been devoted to these issues. A direct link from the institutional web site to the School Safety Net portal is available. Albrecht Dürer The German School in Seville is a private school not concluded and German-Spanish bilingual. Teaches, therefore, the Spanish Educational System with bilingual subjects in German, and enhanced teaching two languages, German and English. The College is non-denominational and is respectful of different values and options of a pluralistic and modern society. Works at coeducational since its inception in 1921. Germany with their culture and traditions occupies an important place in the activities of the College. The College maintains and promotes links with Germany. Pupils and students are beginning their learning German in Kindergarten (infant stage) and this continues throughout their school career until 2nd year. 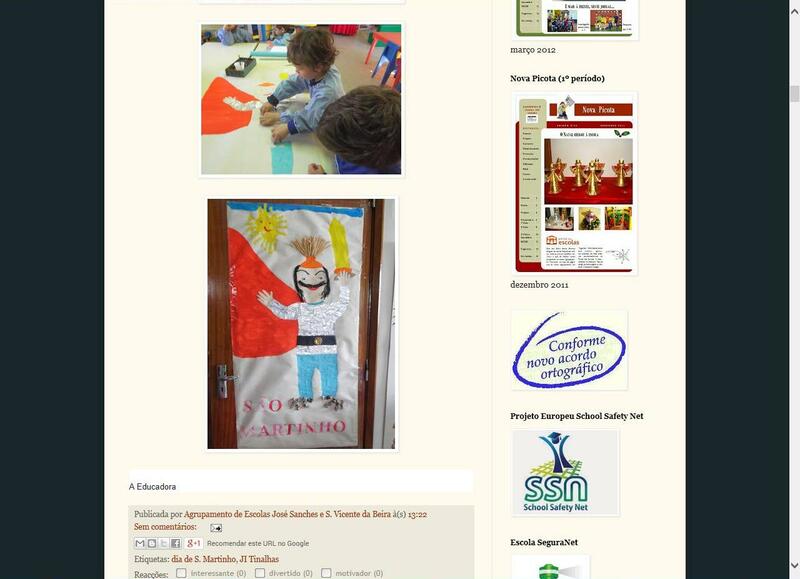 This website is a blog created by kind of 2nd ESO CEIP Our Lady of Peace Chilluévar. Through this blog made communications and use resources, to foster a more productive and interactive learning. Announce an interesting addition to the educational world. The information is intended not only for students but also for parents, teachers and all those interested. A direct link from the institutional web site to the School Safety Net portal is available. 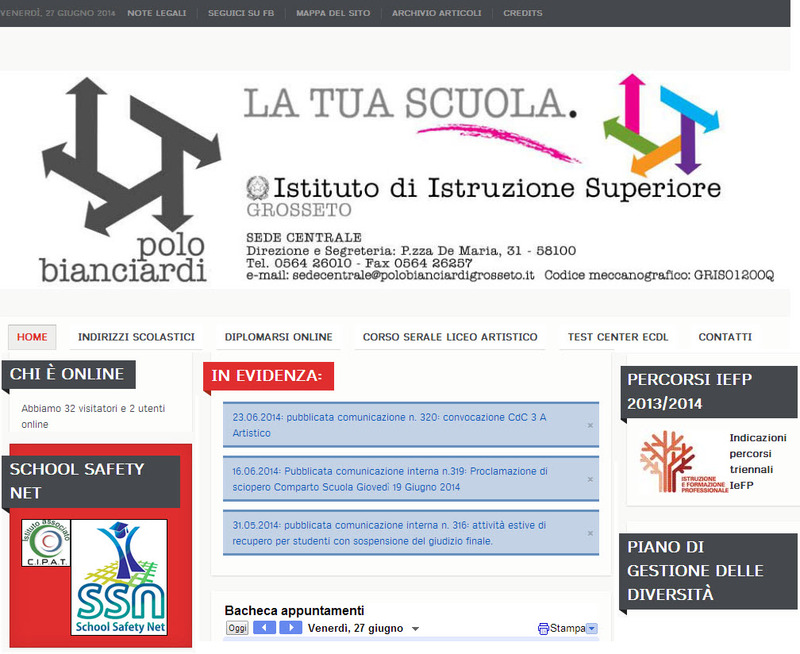 "BIANCIARDI\” Institute is partner in the School Safety Net project. 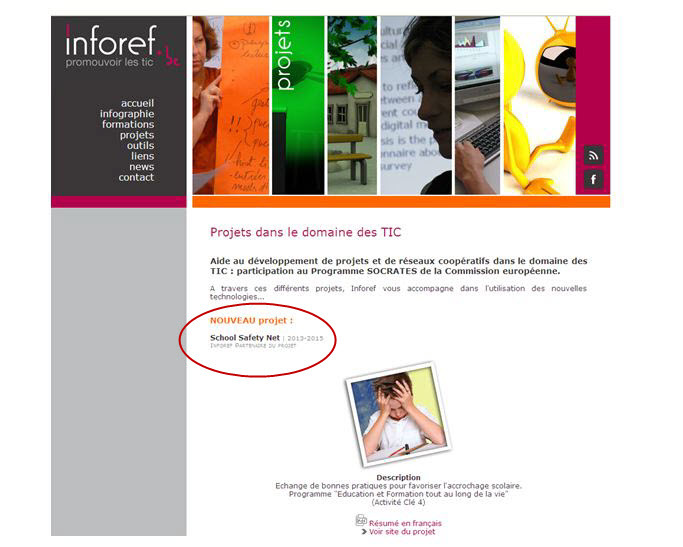 The website provides information about the project. “BIANCIARDI” is an educational institution of second degree and the teachers are very committed to inclusive teaching methods. The website is very active and highly visited. The In-Vet project aims at developing a toolkit for the identification of trainees at risk of dropping out the VET system. 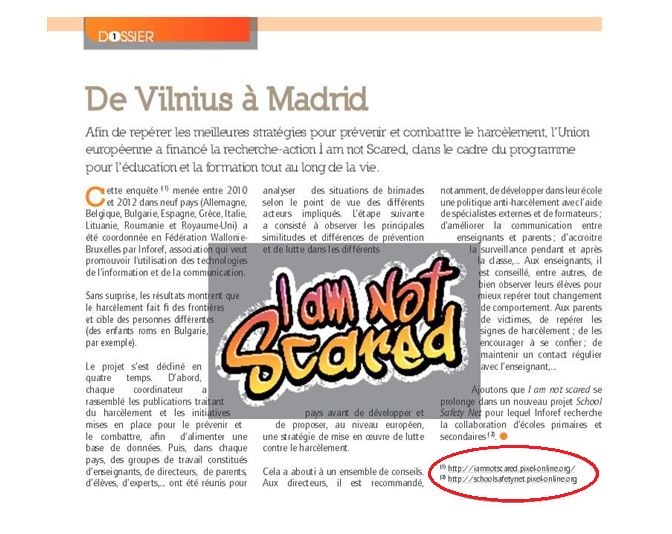 In-VET was born from the concept approached by two successful European initiatives that tackle the issue of dropouts: The School Inclusion Project and Stop Dropout!. Form the web site it is available a direct link to the School Safety Net Portal. 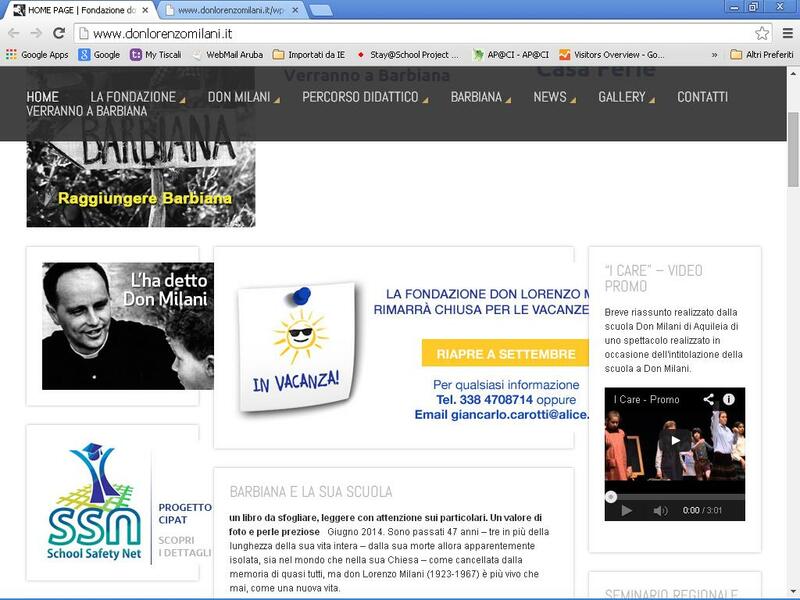 The Foundation Don Lorenzo Milani is a no profit organisation aiming at promoting the educational method of Don Lorenzo MIlani. On the web site of the foundation a description of and a link to the School Safety Net project is available. The Delegation of the Italian Tuscany Trainers is a no profit organisation supporting the development of training in Italy. The Delegation, through its Group School, joined the School Safety Net project. On the web site of the association a description of and a link to the School Safety Net project is available. Pluriversum is associated partner in the School Safety Net project. 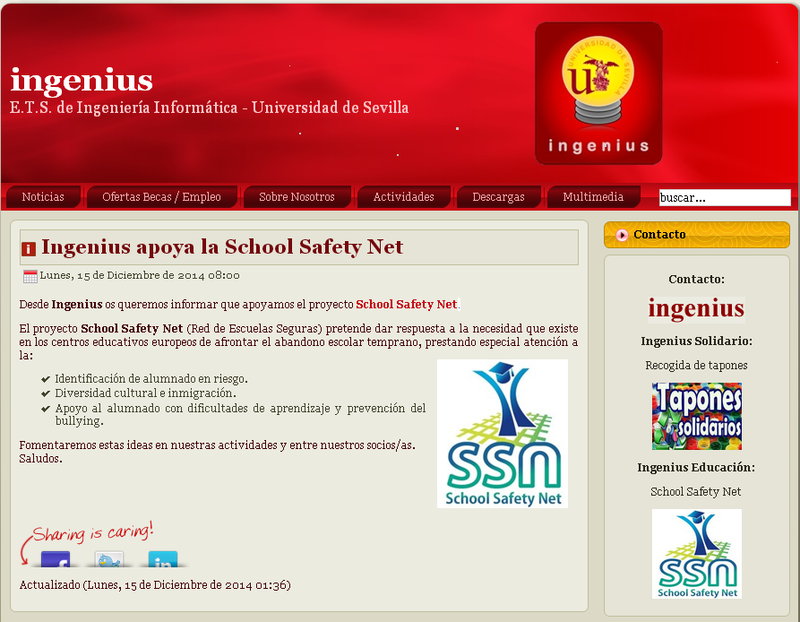 Pluriversum website provides information about the project together with a direct link to the School Safety Net Portal. There are many users of Pluriversum’s website that may now learn about and benefit from the I School Safety Net project. 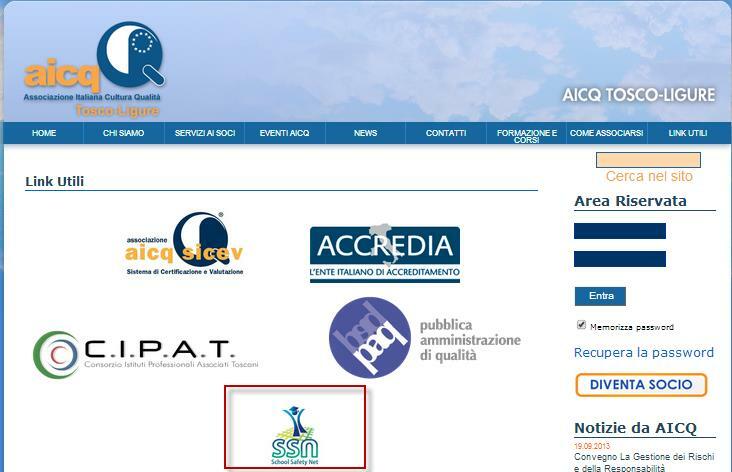 Associazione AICQ-Tosco Ligure is a no profits association that works with companies in Florence and in Tuscany. The association is an associated partner in the School Safety Net project. 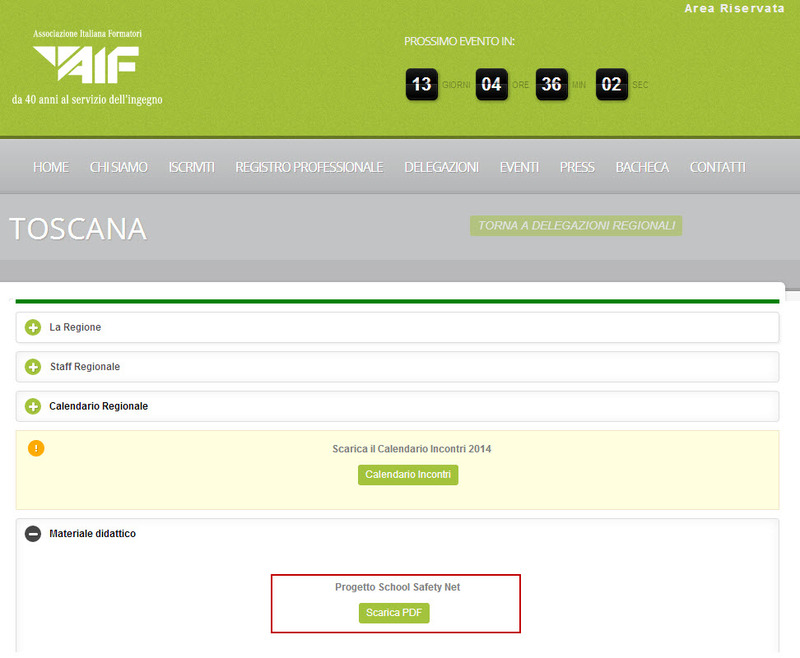 The website provides information about the project. 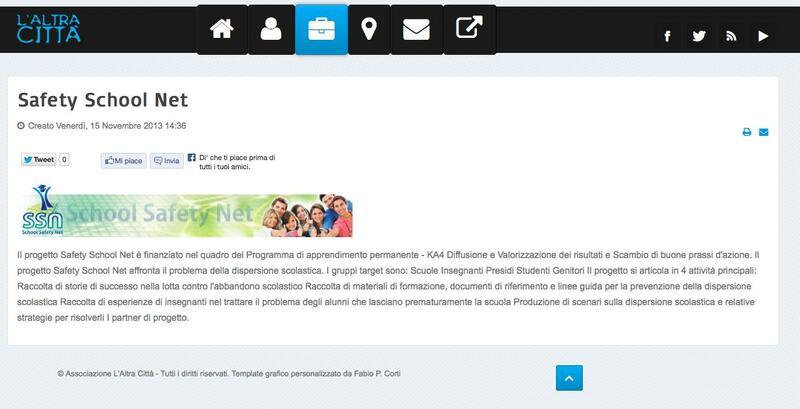 Associazione L’Altra Città is a no profit association that works with schools in Grosseto and in Tuscany. 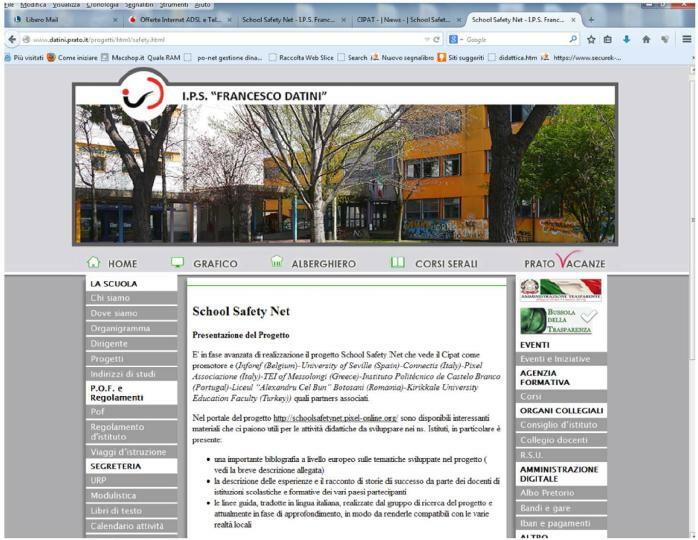 L’Altrà Città is an associated partner in the School Safety Net project. 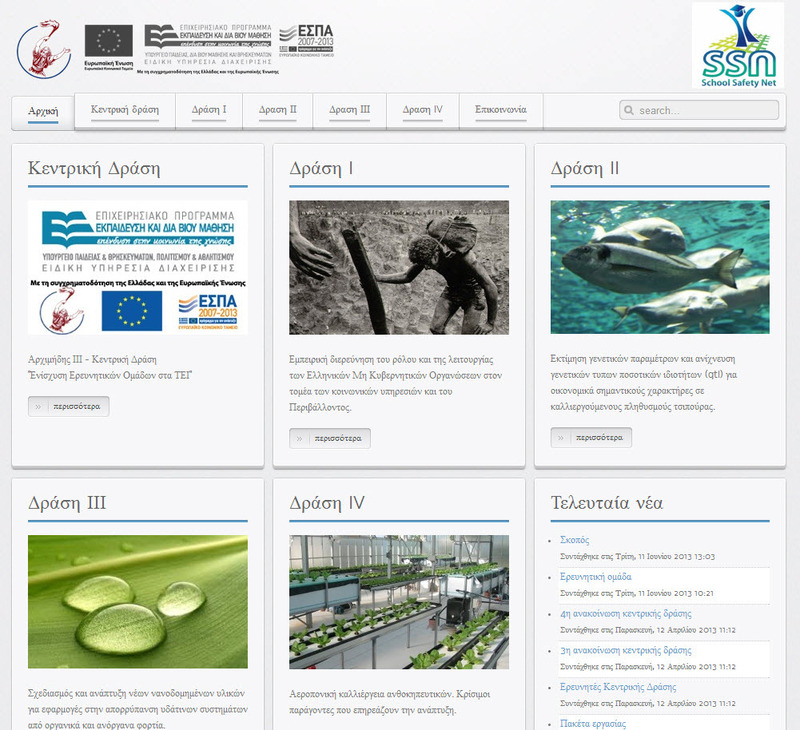 The website provides information about the project. The Guglielmo Marconi Institute has always been committed to the transformation of society, and as a professional institute follows the new requirements of production and social reality. The Institute aims to introduce all this innovation appropriate to the teaching methods, training, facilities, tools, education and training built on the demands of the area. The Institute "Francesco Datini" has always been attentive to the changes in society, and as a professional institute follows the new requirements of production and social reality. The Institute aims to introduce all this innovation appropriate to the teaching methods, training, facilities, tools. Ingenius is an association, nonprofit, which has a social and community purpose. Among its objectives are: to promote the importance of non-curricular competencies or transversal skills among students and extend international and cultural vision, encouragement for stays abroad and develop technical skills such as learning other languages. Initiative for a safe and healthy use of Internet, mobile and games for children and adolescents. Its main objective is to promote safe and healthy use of new technologies by children and adolescents, and a responsible digital citizenship. 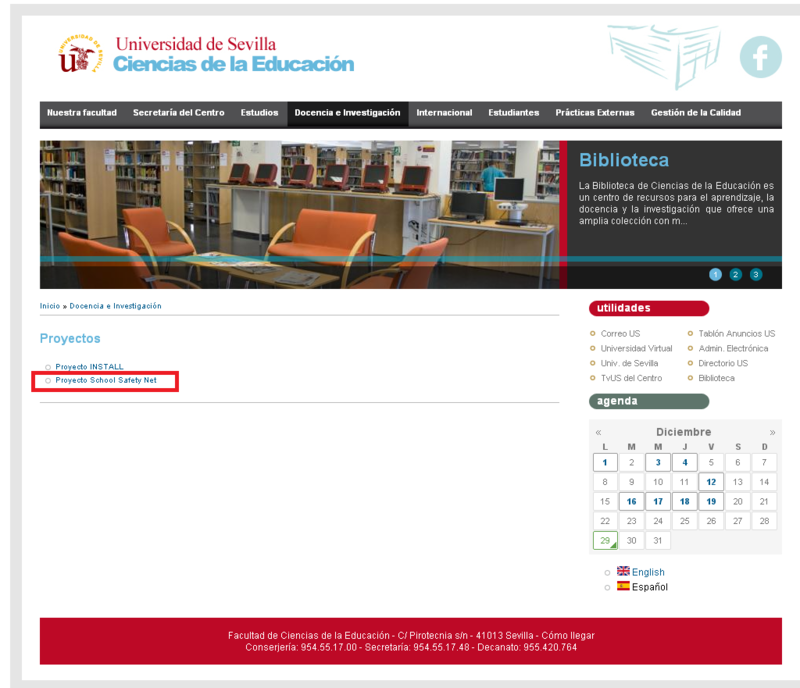 Developmental and Educational Psychology Department at the Faculty of Education Sciences of the Autonomous University of Madrid. It integrates research staff training, teaching and research in fields related materials and the same area and other support personal. The Faculty of Educational Sciences is located on the campus of Ramón y Cajal, where currently four undergraduate, one double undergraduate and three postgraduate degreesare held. The main aim is to offer you the best possible services related to these degrees, such as an excellent library, rooms for group work, Wi-Fiareas, and seminars, etc. There are more than 5,000 students. Educaljarafe is a company based on personalized attention, which is why working with 2 students per class, getting to this maximum attention to students during class time. They start from the curriculum of each school, how teachers' work and the specific needs of each student because they are aware that every student needs a particular attention. 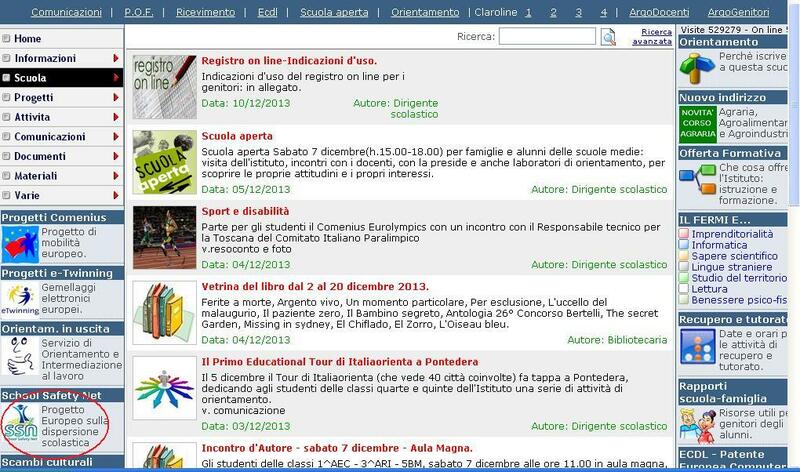 Education 3.0 is the magazine of the XXI century classroom. It aims to contribute to make easier the integration of ICT in the education sector. 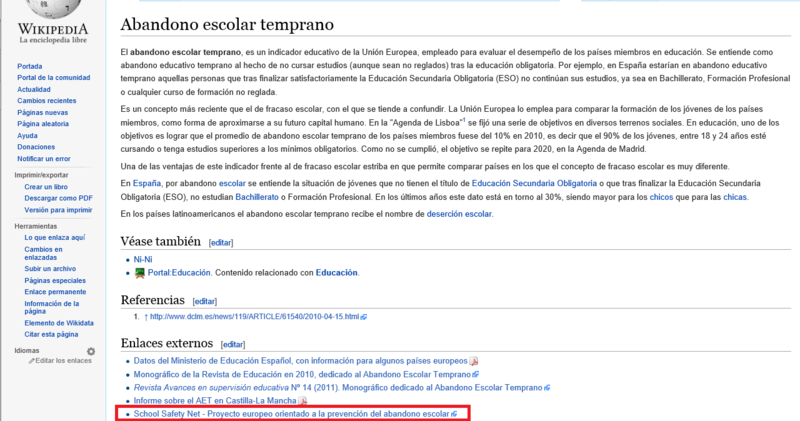 To do this, offer all kinds of content (information, new devices, new publications, educational resources, curriculum materials, platforms, software, games ...) that are useful to the members of the Spanish educational community: teachers, head teachers, administration, parents, students. Caring Books is a production company creating educational entertaining content to contribute to the normalization and inclusion of those children with special educational needs, some illness, disability, or social difficulty.